The benefit of asking the big questions is that sometimes you can use reasoned logic to answer them. There are a few big questions that I’ve successfully answered to my satisfaction, and I don’t expect my answers to change with the passage of time. One of those big questions is whether this reality is objective or subjective. 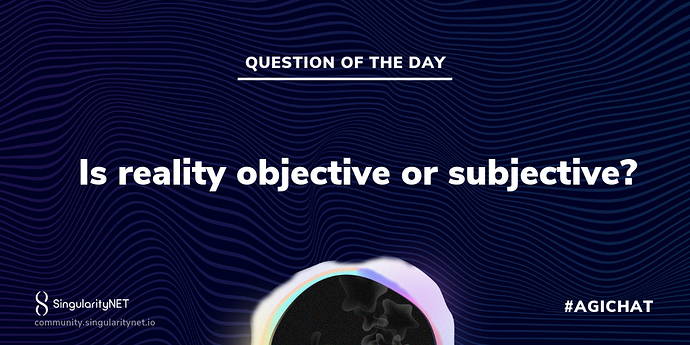 Before we can dive into this question though we should define exactly what we mean by Objective / Subjective reality. A reality that completely exists independent of any conscious entity to observe it. The perception of all things, concepts, and "truths" in the universe differs between individuals: we all live in different worlds, each of which may have things in common, because of our unique perspectives on our worlds. Fundamentally, one cannot prove the existence of an objective reality. We can only infer its properties through observations, which of course, are subjective. However, it may be possible to prove that objective reality doesn’t exist, if, for example, it can be shown that the properties inferred via a particular observer fundamentally contradict properties inferred via another observer. But even then those inferences may be hopelessly subjective. Suppose person A sees a car as red and person B sees the same car as green. We can’t conclude that there is no objective reality because person B could simply have an unusual filter somewhere between the car and the seat of their consciousness. What if we can use some sort of high-precision reproducible measurement apparatus to make some observations on reality and find that under certain controlled circumstances, reality changes depending on some parameter that appears to be disconnected to the reality itself? There are a lot of qualifiers and imperfections in that question – like “high (vs. infinite) precision” and “appears” – but what comes to mind is the well-known double slit experiment. In 1998, researchers at the Weizmann Institute of Science, demonstrated that reality shifts depending on the amount of observation, even if the “observer” is a completely non-intrusive device. IQOQI upped the ante in terms of precision in 2008 by showing that objective reality doesn’t exist to a certainly of 80 orders of magnitude (probability of being false due to error or chance = 1E-80). That’s good enough for me. And, in 2012, Dr. Dean Radin conducted what appear to be well-designed and rigorous scientific experiments that show to a high probability that conscious intent can directly alter the results of the double slit experiment. Just as it only takes one white crow to prove that not all crows are black, it only takes one experiment that demonstrates the non-existence of objective reality to prove that objective reality is an illusion or does it? So if the above is true then why are we even having a debate? Surely with this kind of evidence then the answer to the question has been finally found? Well not, unfortunately, or fortunately depending on which side of the fence you stand. The reason this question cannot ever be answered with a firm yes or no is rather simple. A subjective reality can simulate an objective one, and vice versa. So there’s no way to know if there’s another container of the opposite type one level below your current reality. If this container effect sounds unlikely, notice that you already experience it when you have a nighttime dream. During such a dream, you’re in a subjective world. Your dreamscape is supposedly happening in your imagination. If you believe that your waking world is objective, then your physical brain is doing the dreaming, so there’s an objective layer beneath your subjective dream world. Events in that objective world could even interfere with your dream, or they could influence how the dream turns out. Something could happen to your physical body while you’re dreaming. Your dream world isn’t free and separate from its objective container. Furthermore, the limitations of your physical brain constrain the depths of your subjective dream world simulation. Your dream world is running on physical hardware – the hardware of your brain and its billions of neurons. On the other hand, if you believe that your waking world is primarily subjective, then you still don’t know if there’s another objective layer beneath that. Maybe your true nature is that of an objective being dreaming up a subjective story here. But even if you woke up to that reality at some point, such as when you die in this waking reality, you still don’t know if there’s yet another layer below that. Another possibility is that there could be a subjective reality beneath this one, and it’s just simulating (or dreaming up) a seemingly objective reality based on rules and constraints. It’s much like having a non-lucid dream at night. If you don’t know that you’re dreaming, you automatically limit what you can do. But if you become lucid and realize you’re dreaming, you can do many more things in the dream world such as flying, creating characters, and more. You can change the simulation. If a nighttime dream can so easily fool you into thinking that it’s an objective reality, isn’t it possible that your waking world is a similar construct? Have you explored the possibility that you might be dreaming right now? If that sounds ludicrous to you, you haven’t thought about this deeply enough. Take these questions seriously. They’re among the more important questions you could possibly ask as a conscious being. Subjective and objective reality are always translatable to each other. They can never actually contradict each other, no more than your left eye can contradict your right one. These are two perspectives looking at the same sensory data. Any event that you can describe objectively will have an equivalent subjective explanation and vice versa. It is similar to viewing the world through your left eye vs. your right eye. Your eyes don’t contradict each other; they just see every scene from different perspectives. 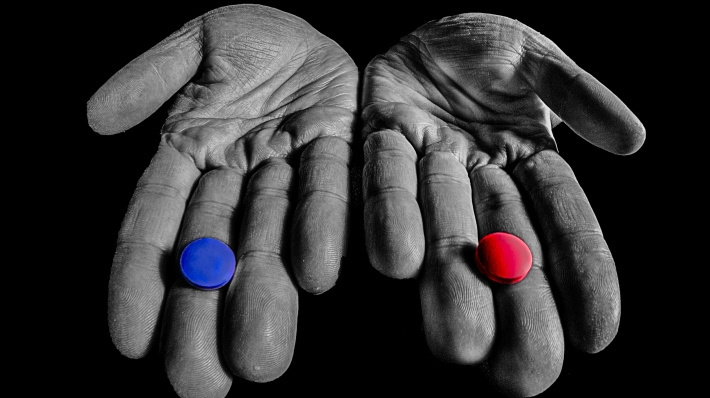 If you will never know whether you’re living in an objective or subjective reality, it’s foolish to assume that you’re living in one or the other since you’d only be guessing, and you could be very wrong. There is no evidence-based way to know the truth. This isn’t a problem that any level of science or philosophy can ever hope to resolve. The truth is simply unknowable, and it always will be. No conscious being, no matter how powerful and aware, will ever be able to know the true nature of the reality which contains it. Hence it makes sense to live in alignment with both possibilities. View your key decisions in life through both lenses, and lean toward deciding based on the combined perspective of stereo vision. Don’t limit yourself to one perspective or the other. Learn to integrate both. When you stray too far into one perspective or another, making decisions from only one perspective in such a way that those same decisions would seem irrational when considered through the opposite lens, you’re at risk of making serious errors. You could be basing those decisions on completely erroneous assumptions about how reality actually works, and hence you’re at risk of experiencing massive failure with such a mono-lens approach unless you happen to guess right and be perfectly consistent. It is possible to make decisions using both lenses. I’ve been using this approach for years, and it has produced a wonderful flow in my life when I’m consistent about it. It is similar to enjoying a meal that stimulates all of your senses simultaneously a symphony of input. The inherently unknowable nature of reality can be a tough pill to swallow, at least initially. It can send you down the rabbit hole and back many times. But the more you surrender to this simple truth, the more wondrous reality can become. I loved this article. Reality is simply a balance, that is created from everything and nothing. Consciousness arises in between the two. The reality is that knowing that you know nothing, demonstrates that you know something. The duality of Nothing and Everything, creates a whole in which cannot be separate. ANYTHING is possible, but it means nothing. Thanks for another outstanding article. I am left with this: ‘However, it may be possible to prove that objective reality does not exist.’ PS: We have been living in the Singularity for a long time, believe me. The truism that Truth is reality can be vague, but whatever The Truth is has to be by definition Reality. Truth is related on our human level to ethics. The history of ethics includes law, spirituality and even religious evolution. This has been a very hard won discovery by humanity and needs urgent study by super AGI. The truth is that without ethics the singularity can not occur. Our perception is a subjective 4D closed simulation of a high dimensional (4D+) objective reality… lol. The inanimate device used in the double slit, still may be attached to the intention that placed it. Whether the device is inanimate may be inconsequential. There is a very old practice of dream merging by “shaman”, to see the inner workings of a person or to relate to them in dreamworld in order to find true intentions or even to extract or deposit knowledge. Sleeping within a certain proximity, and passing into the dream phase while maintaining focus and intention on the dream sharing of the individual. While it may seem unethical, or invasive, this is best done without the knowledge of the other, as again, knowledge can interfere. The movie Inception is not that far fetched, though planting ideas, can be done in waking life in a variety of ways, and subtle hypnosis is understudied, underrated, and misunderstood. The day, person(s), and idea are all factors. The story of Cecil the lion, did not carry at first, but then later, suddenly spread like fire. And the dentist was chased down the street, mostly due to timing. If we could examine the content of dreams of a large control group of people on a daily basis for a period of time, it would lead to new horizons in the exploration of consciousness and reality. The fact that you observe something means you fundamentally interact with it and it is this interaction that will have an effect. Reality objectively interacts with itself and from the narrow mathematical interval of reality that is a conscious observer it seems subjective because it (observer) has an effect on it. So on the level of everything and nothing at the same time all the time interacting with itself it is objective but from a point or subset of points in this infinite set it will seem subjective. This would be my educated hypothesis. Interesting, So the relative position of the observer in relationship to the observed reality influences its subjectivity… An issue of attachment/context? Not with intelligence, but with experience, my reality could be different than others, it depends of own experience. It is only a theory, but is mine. Objective and Subjective has to do with intelligence. Method is the only way in which we know reality. Thus the scientific method. Randomness has been shown to be more accurate than collective opinion. We are subjected to reality. Modern society has been the result of method: Technology is a discovery through method. In order to (not be subjected to reality) we must apply a method that is valid. 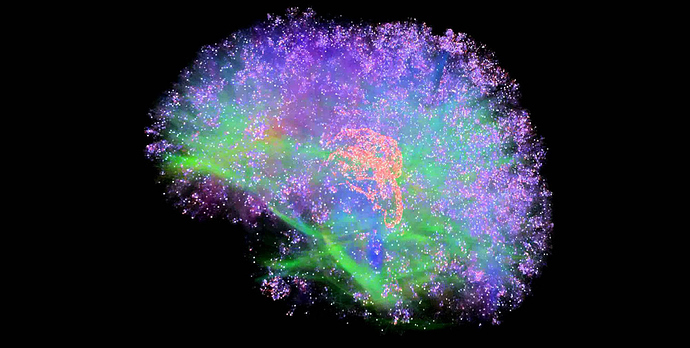 Evidence through valid method has shown we are literally in a computer simulation. This is partly due to the fact we are subjected to reality but mostly due to the evidence of valid methods. Methodological facts about reality is true weather or not opinion agrees or disagrees. Because opinion is not valid, rather a preference of subjected experience. One day I’ll give the example considering my line of work, for now I’ll try to see and understand under your perspective. If the source of the idea, cannot be traced, then the question remains open. Every artist or inventor is asked, 'Where did you get the idea" ? The answers so far, fall short of explanation that can be tested or duplicated. This is a barrier to investigating reality. If inspiration is viewed as contained within the individual, waiting to be drawn out, that would be an assumption. Hence the meaning, “to breathe in from the air”. This assumes an unidentified source. If ideas already exist, and simply find opportunity through individuals, then this would support subjectivity and objectivity, while also altering our perception of both. If ideas are opportunistic within a set of circumstances, then they could be studied and predicted. This would at least bring us closer to percentages of either. If the common view, is that we are subjected to random ideas, then I would challenge both the subjective nature and the random nature of ideas. It always comes back to the boundaries of free will and the practice of bringing an “inspired idea” manifest. If technology is a discovery by method, what if the methods, and abilities themselves are on a schedule , along with ideas ? This would render ideas as objective, and the artist as opportunistic rather than originator. Sounds fair to me… Right place, right time. Evolution is the preferred method of the collective.